Want to lose weight and still eat rice? Just switch to brown rice instead of white. Apart from being more nutritious, it also has fat-burning properties. What is brown rice? How is it different from white rice? It is just normal rice but with all the nutrients still intact. The reason brown rice has many more nutrients than regular white rice is due to the fact that brown rice has only th...e outer layer, called the hull(husk), removed while white rice has been refined for convenience removing several nutritious layers—therefore losing all nutrients. Manganese also helps synthesize fatty acids, which keeps your nervous system in working order. 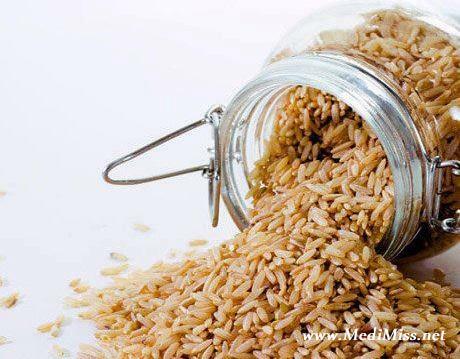 The fiber in brown rice produces the best health benefit of all – fat burning! In addition to requiring more energy to break it down, the fiber in brown rice helps satisfy your appetite and therefore decreases your chances of overeating. That is the equation for fat loss – eat less and burn more! The fiber and selenium found in brown rice can also reduce your risk of many types of cancer, which is a health benefit we could all use. Finally, oils found in brown rice can help lower cholesterol, which according to research, we eat too much of already.